As you begin to make investments in the Nairobi Stock Exchange as a Chama, you’ll be setting up your stock investment portfolio. This is a record of everything you’ve invested in, how much you’ve invested, and how much you’ve gained or lost. This is a very important document you’ll need to keep track of when you begin investing. Leaving your investments unattended is about as risky as leaving a huge bundle of cash unattended. Whether you work with a stockbroker or you trade on your own, keep a constant, watchful eye on your portfolio to prevent minor mistakes from becoming major financial drains. You need to make sure that you constantly monitor your stock investment, keep it updated, and maintain your records for it. In order to make that this is done properly, it is a good idea to appoint one person in the Chama to be in charge of this task. Preferably the treasurer. If he or she is very busy, he can appoint an assistant from the Chama to help out with this task. Update your portfolio to match the current trends in the shares you own, including share prices, share price histories, company announcements, company information, and any other useful information sources. This will give you a better understanding of how your investments should be doing. When you do your quarterly monitoring, you’ll have a better idea of how it should look, which will allow you to compare it to how it actually does look. Keep track of and maintain records of all of your investment incomes. Develop a recording process that works for you and stick to it. By monitoring, updating, and maintaining your portfolio, you’ll see how your investments are doing and determine which ones to keep and which ones to sell. Also, hold on to all paperwork and documents that you get from your stockbroker, mutual-fund firm or financial adviser. When receiving trade confirmations and holding statements, make sure they are accurate. 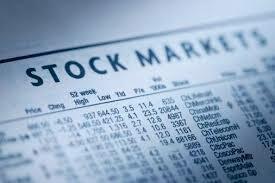 If your Chama is working with a stock broker, make sure that the Secretary takes good notes during meetings. Jotting down comments from your stockbroker whenever you meet to them can come in handy down the road if you have a discrepancy or a problem with your account. Careful record-keeping is one of the pillars of success in stock investment. If you are working with a stockbroker, a face-to-face visit where all the Chama members shake your broker’s hand and look him or her in the eye can ensure that your Chama remains a priority. You do not want to be out of sight, out of mind. Also, when you meet up with your stock broker; get the treasurer to ask tough questions on your behalf. If some of your Chama members don’t understand your investment statements or you have a problem with some of your share performance, speak up right away, loud and clear. Don’t wait until it’s too late to do anything about it and don’t be embarrassed by what you don’t know. When you give your stock-broker an order to buy or sell, particularly when it’s a big order, make sure the instructions are in writing. You don’t want any communications mishaps when your money is on the line. If you hold a losing stock in your portfolio for more than one year, get rid of it. Then buy a stock in a similar category to replace it. A full year is plenty of time for a company to turn its fortunes around.